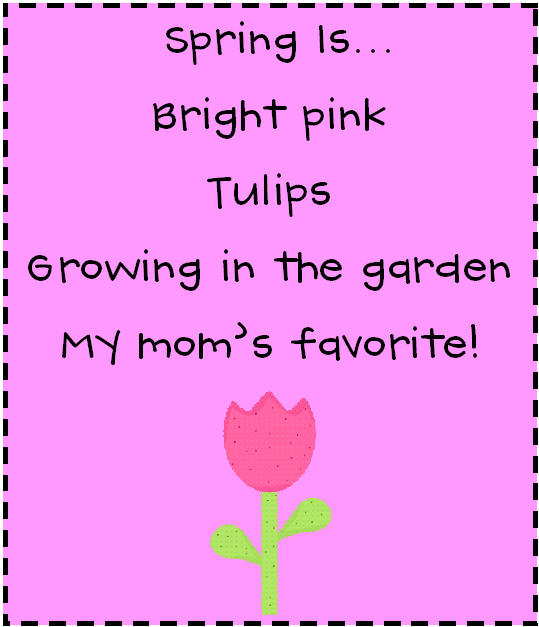 During the last two weeks, my kiddos have been writing lots of poetry. I think that poetry is something that they are naturally drawn to and pretty easy to write. We've read lots of children's poetry-- including my favorite Shel Silverstein. My kids can't seem to get enough of him this year! 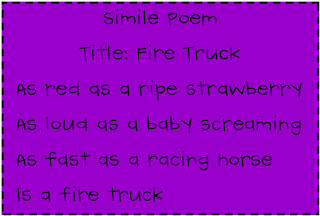 I started out teaching this unit by reading "Writing Dino-mite Poems" in the Learn to Write series. This is a great tool for teaching writing. There is a teaching book with printables and a read-aloud book for each type of writing. You don't have to purchase the whole set. Individual books are sold at my local parent teacher store. 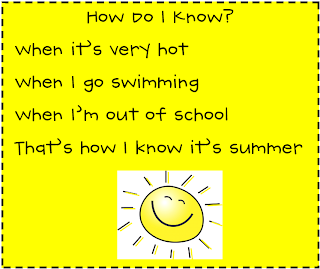 I've found that it's easiest to have structured poems for the kids to practice with each day. I bind these in a little book to take home. Click here to download a copy of my poetry book. 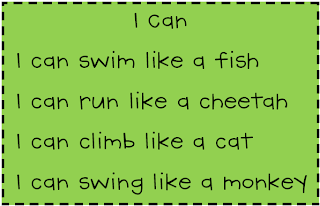 Many of these poems were inspired from the Dino-mite Poetry book. Others were found online. I hate that I let my kids take home their books without taking pictures first. 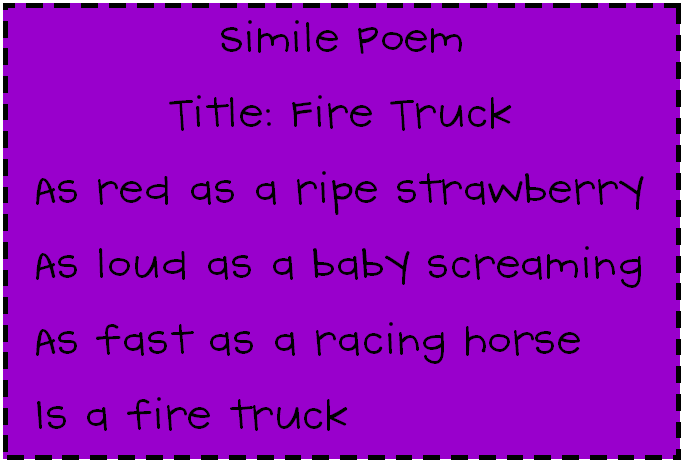 I'll do my best to describe each poem with an example. 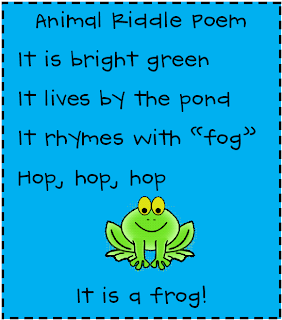 Animal Riddle Poem- inspired by "Shanna's Animal Riddles"
*Make sure children pick animals that have rhyming words! Students can pick any object to write about. 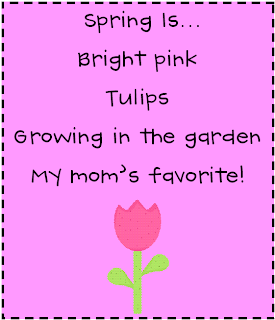 First Line- Color or colors to describe something "springy"
The Book of Poems also includes an acrostic and a free verse poem. Shel Silverstein is one of my favorite poets. I have several copies in my room because my kids love him, too. Thanks for sharing your poetry book freebie. 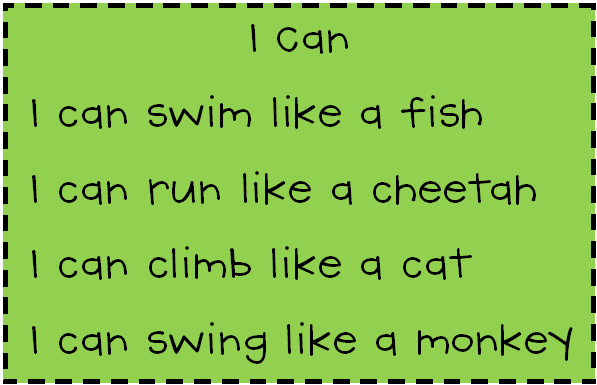 I love Dr. Seuss and Nursery Rhymes. My Kinders do a Nursery Rhyme activity each year where they dress up as their favorite nursery rhyme and recite it in front of an audience. 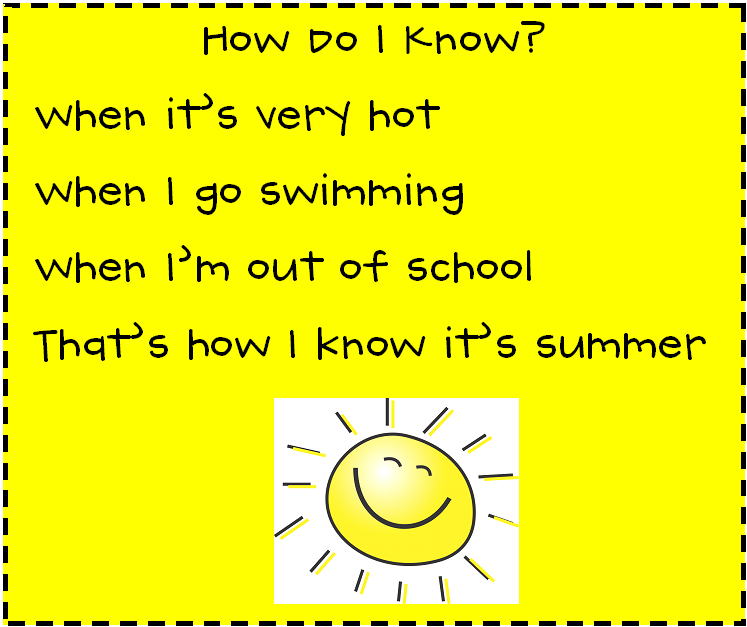 I also do a literacy center focused on poetry- write a poem and the kids have to fill in the blanks with familiar words and also use word cards to match in the poem. I'd love to see your poetry book, but it wouldn't download. I'm not sure if that's a problem just on my end... Thanks for sharing the great ideas! I love the summer one for the end of the year. 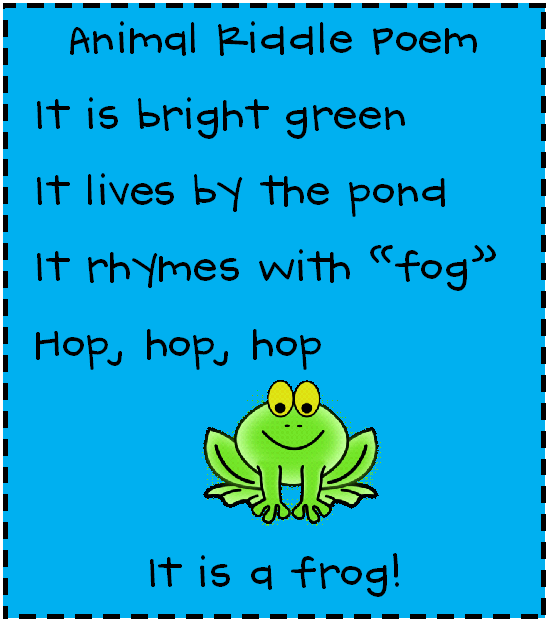 I love teaching poetry with my first graders! They always blow me away with their writing. I just found your blog today as I was searching for guided math ideas. My students love Roald Dahl's poetry. I love your poems. Not sure if you've done cinquains but they are awesome for first grade. I taught first grade for 6 years but have been in other assignments for the past 6 years. So now I am a reading and ESL teacher. Love your ideas!! Thank you so much for sharing. 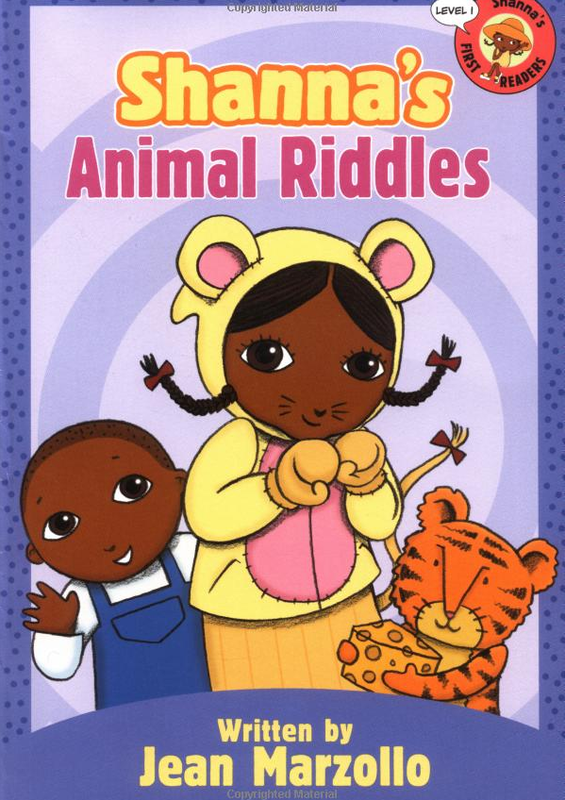 We did the animal riddles today and I used your example. My children did a wonderful job with it. I told them that they are all now poets! I am a former 1st grade teacher and am selling tons of teaching resources and books on my amazon store suitable for K-2! Check it out if you are interested! One of the most amazing things which make the Tower Defence so popular is their game plan. Being a strategy game, it is designed on very intriguing grounds which involves the players greatly. The task in these activities is to hinder the movements of the enemy. You must not let them get near you if you want to win the challenge and move to the next level. This is done by erecting towers which stops the rivals from approaching you. Once you are able to do it, you can gain points and use them for buying new towers. A player can also make use the points to make some upgrades and enjoy this game all the better. Thought-provoking post ! I was enlightened by the specifics . Does someone know if I might be able to locate a sample HBS Non-Disclosure Agreement version to type on ? I believe that these examples of poems that you have published are very interesting and you should be engaged in the further development read more of this type of creativity.